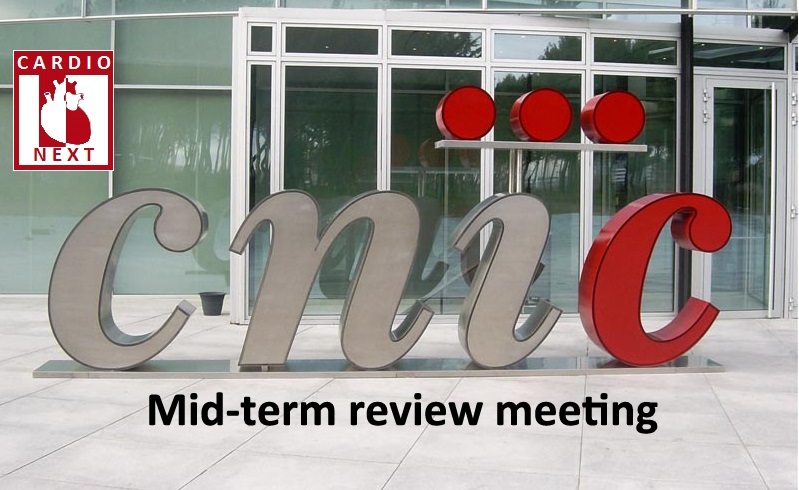 ITN project consortia shall organise a Mid-Term Review (MTR) meeting which assesses the fulfilment of all aspects (scientific, research training, management, etc.). Particular attention is paid to the training activities and networking aspects including activities across different sectors. As such, the review is not just a scientific evaluation of the Network nor should it be the first point at which problems are brought to the attention of the REA. It should be understood as a constructive dialogue between the network participants and the REA project officer and is a valuable source of feedback to both the consortium and the REA. 10:00 - 10:15 1. Introduction: Introduction by the REA project officer, the Expert Reviewer and the Project Coordinator. 10:15 - 10:45 2. Presentation of the Network: The Coordinator will present Cardio-Next research team and will introduce the Associated partner. 10:45 - 11:30 3. Coordinator's report: Presentation of the Mid-Term Review Report covering each of the following aspects. - Scientific highlights of the work. - Dissemination and outreach activities. 11:45 - 13:45 4. ESRs' individual reports: Every ESR will present the project results or achievements. within the Network in terms of training, progress and impact on their future careers.